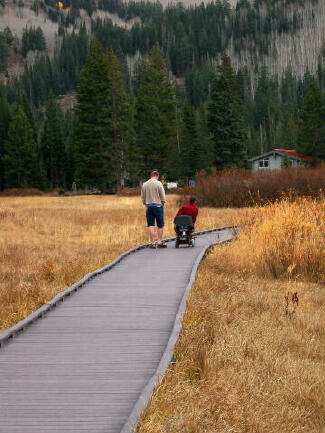 Silver Lake is accessible to all and is a great way for children, seniors and the handicapped to enjoy the outdoors. 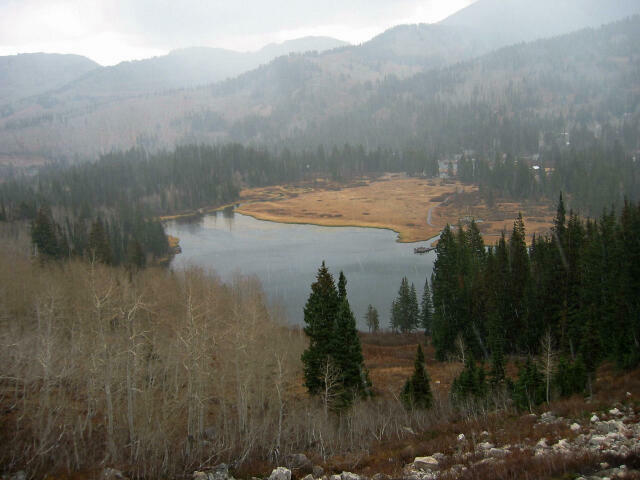 The lake is located at the top of Big Cottonwood Canyon. In summer, the lake is a great place for an easy and beautiful hike. During the winter it becomes part of the Solitude Nordic Center system of cross-country skiing trails. Silver Lake might be the easiest hike on this website. The lake is circled by a boardwalk and is well signed. There are picnic tables and benches strategically located around the lake. The hike around the lake requires about 30 minutes, but most will spend several hours at the lake relaxing in the exquisite surroundings. 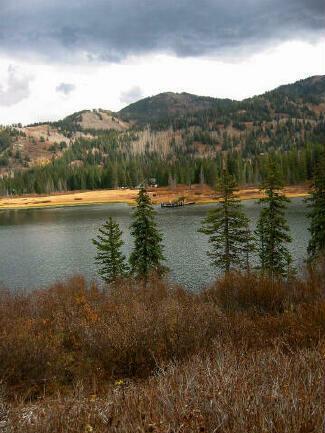 The lake is stocked with fish and fishing is allowed with a Utah State fishing license. The Information Center (which in winter is the ticket and rental office for the Solitude Nordic Center) is located at the trailhead. During the summer months the US Forest Service operates the Information Center over weekends and on holidays between 11:00 a.m. and 5:00 p.m. Both the Information Center and walkway are wheelchair accessible. Everyone should carry a one liter of water. Water is plentiful in this area, but all water taken from lakes and streams should be filtered before drinking. Insect repellent is a good idea as mosquitoes can be bothersome during certain times of the year. A mosquito repellent that contains DEET (N,N-diethyl-m-toluamide) is highly recommended. Navigation for this route is almost non-existent. 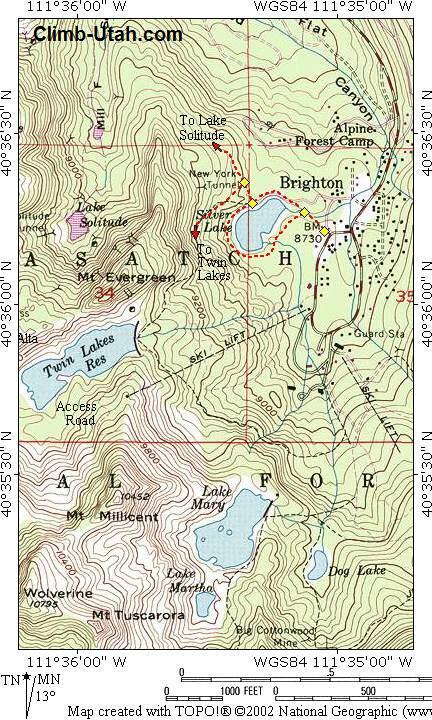 But for those who want to know all the usual details the USGS 7.5' Map titled "Brighton" shows the lake. 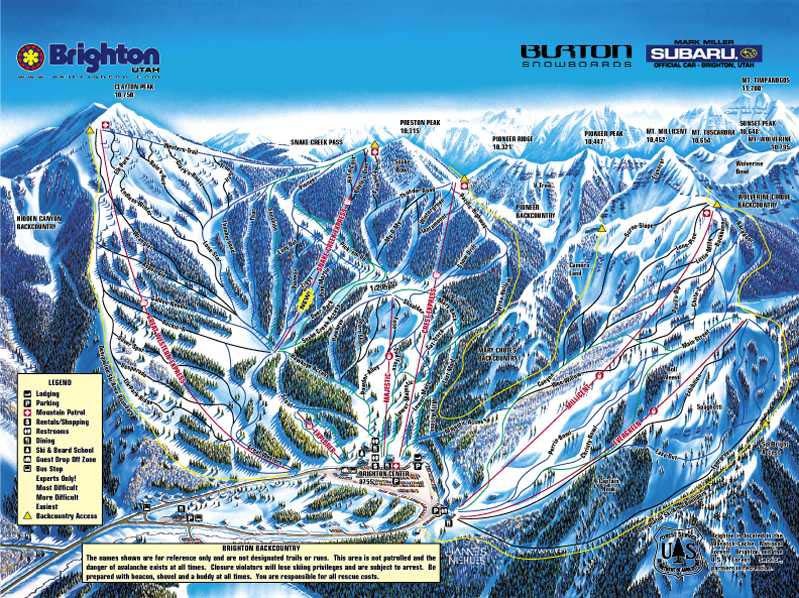 You might also find a map of Brighton Ski Resort and Solitude Ski Resort useful or at least fun to look at. All waypoints and maps for this route use the WGS84 datum. It should be noted that the USGS maps are not accurate for trails in this area. The trails are correctly located on the map provided. This route is suitable for beginners, seniors, handicapped and children with adult supervision. The trail is 1 II using the Yosemite Decimal System. From anywhere in the Salt lake Valley take I-215 East until you reach the 6200 South Exit (Exit 6). 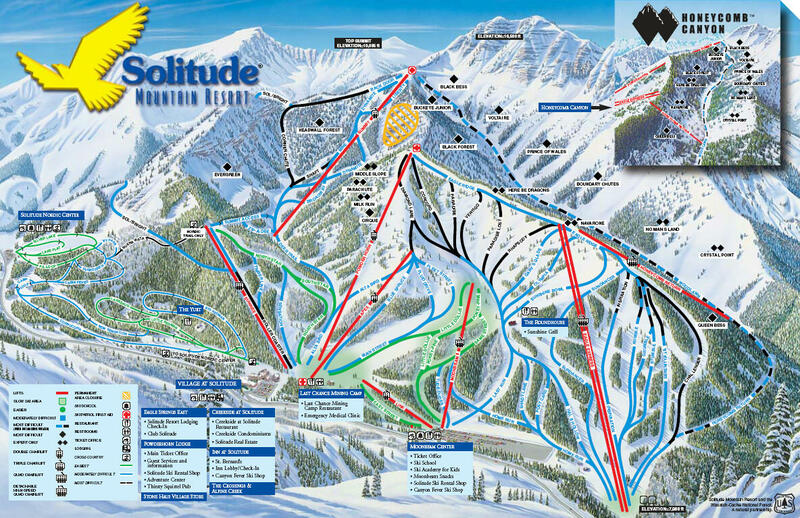 Signs are marked for the ski areas, you will be heading towards Brighton and Solitude Ski Resorts. Drive east on 6200 south and the road will become Wasatch Boulevard. Follow Wasatch Boulevard south to an intersection with Fort Union Boulevard (7200 South). The intersection is located 1.7 miles after exiting I-215. All mileage is taken from the intersection of Wasatch Boulevard and Fort Union Boulevard. 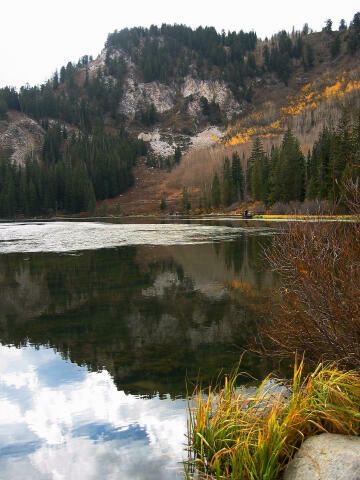 This is known locally as the "Mouth of Big Cottonwood Canyon". There is a large Park and Ride lot with restrooms located near the north east corner of the intersection. From the intersection drive east up Big Cottonwood Canyon. After driving 14.2 miles up canyon the road will fork into a one-way loop. follow the one-way loop right (west) and drive 50 yards to the signed Silver Lake Trailhead on the right (north) side of the road. The trailhead is designated with a large paved parking lot, restroom, information kiosk and visitor center. The Silver Lake Trailhead is the beginning of several popular hikes. 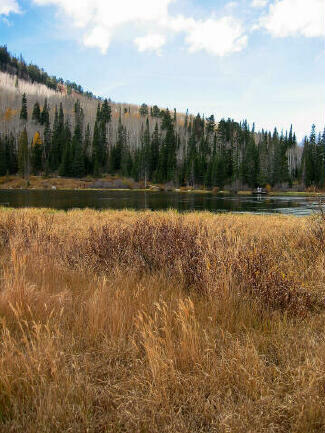 From the Silver Lake Trailhead (N40° 36' 13", W111° 35' 03") walk north 100 yards on the boardwalk and you are at the lake. A nice trail circles the lake and provides access for everyone to enjoy. You will find interpretive signage around the lake that will help those new to the outdoors appreciate what they are seeing. 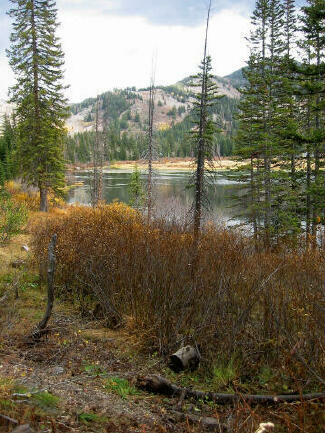 For those want to explore more of the area this is also the start of the popular Granite Lakes and Lake Solitude Trails.